Do I have a treat for you...Brownies. 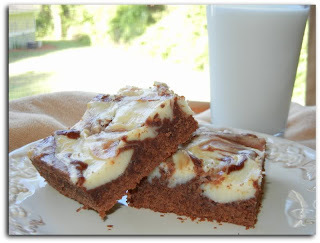 Even more than s'mores, Brownies are my favorite dessert. (I do have a very long list though) If I could, I would live on Pizza and brownies...but that would not be a long life I am guessing. 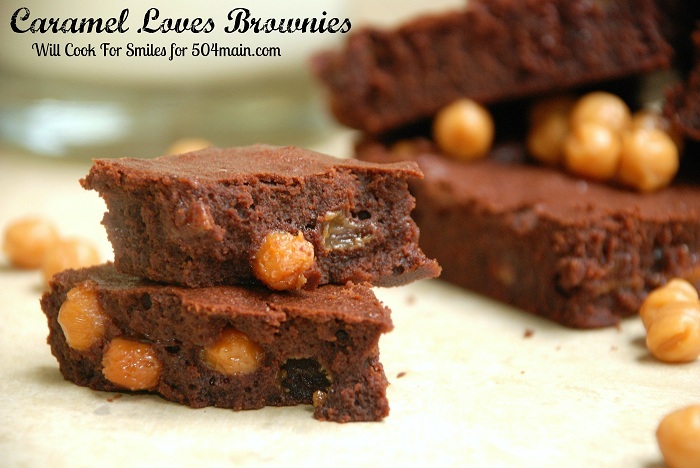 This delicious treat is is compliments of Lyuba from Will Cook for Smiles. 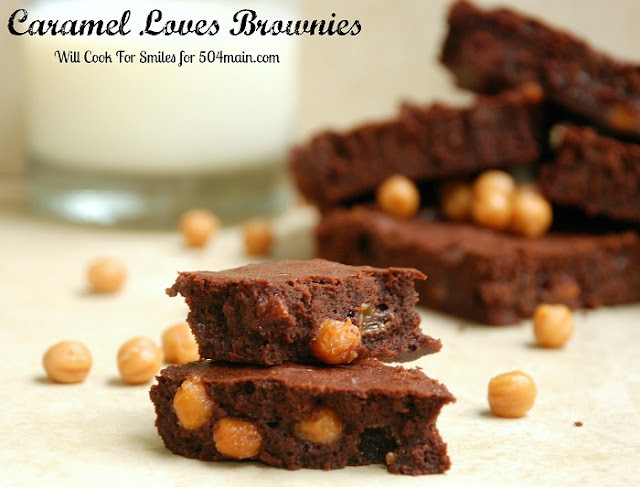 Here are her Caramel Loves Brownies! Big "Hug Hello" to all Holly's fans! 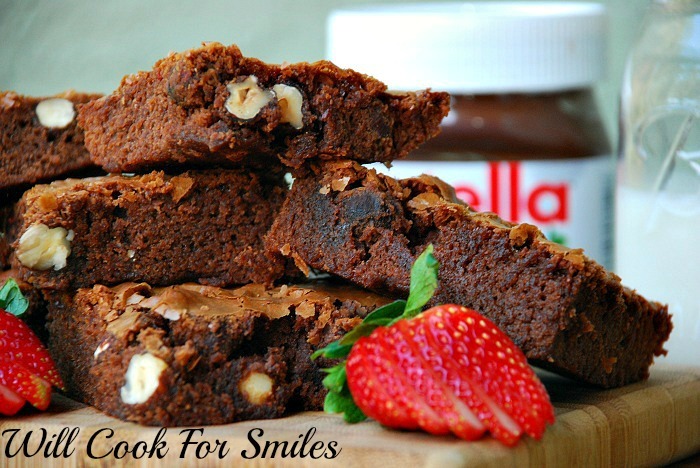 I'm Lyuba from Will Cook for Smiles where I mostly blog about food and share great recipes. I say "mostly"' because an occasional craftspiration strikes and I sometimes post a craft project. I am a mom, a wife and a full time grad student. Life is busy but fun. 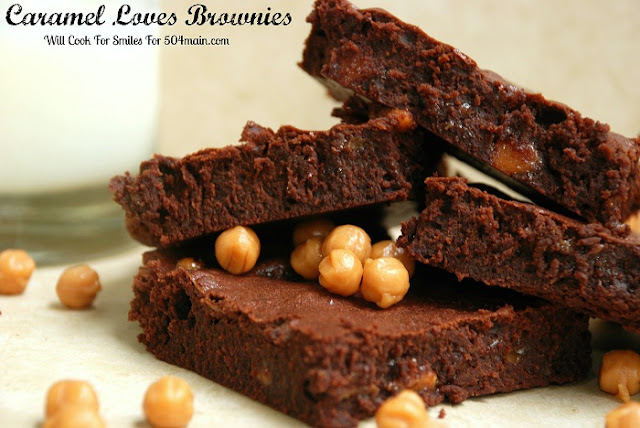 Today, I'm sharing one of our favorite brownie recipes: Caramel Gooey Brownies! I actually named them "Caramel Loves Gooey Brownies" to go with the Valentine's theme. 1. Preheat the oven to 325. Grease a 9x13 baking dish. 2. In a sauce pot, melt the butter and sugar, take off head and let cool, so it's not hot. 3. In a large mixing bowl, whisk the eggs until smooth, slowly add the melted butter/sugar mixture (that is why we cooled the butter because if it's too hot, it will cook the eggs). Add vanilla and caramel and mix until all combined. 4. Sift in the cocoa powder, whisk until combined. Sift in the flour and salt and whisk until just combined. 5. Fold in the caramel bits. 6. 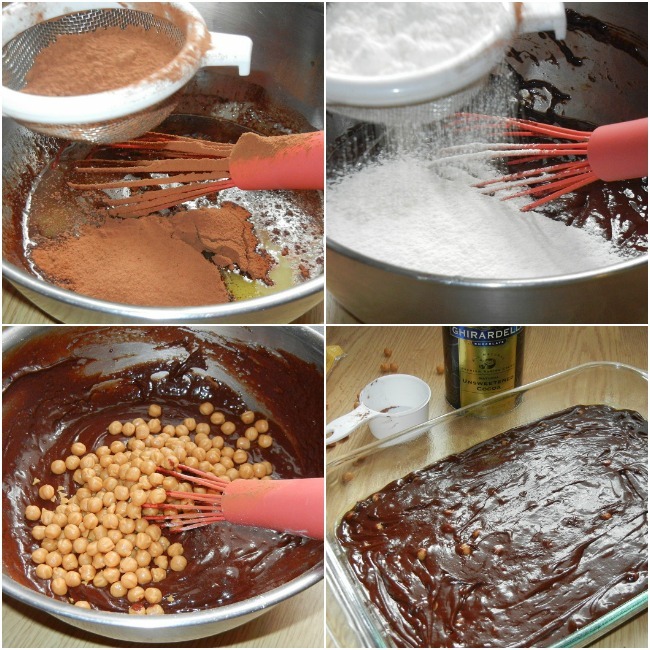 Spread the brownie batter in the baking dish, evenly. Bake for 35-40 minutes. Thanks for giving me the "floor", Holly and I hope you feel better soon! If you like what you see, make sure to visit me on Facebook, Twitter and Pinterest! Thank you Lyuba! Your recipes always put a smile on my face! Now, go visit Will Cook for Smiles...you will smile too! If only I could reach thru the screen and grab two, three or four of those brownies!